Apple has actually shrunk the batteries in the iPhone 8 and 8 Plus versus their predecessors while maintaining the same longevity, filings with the Chinese government show. The iPhone 8 has a 1,821 milliamp-hour battery, while the 8 Plus is rated at 2,675 milliamp-hours, according to TENAA listings noticed by leak source Steve Hemmerstoffer. TENAA is an agency similiar to the U.S. Federal Communications Commission. The iPhone 7 and 7 Plus, by contrast, are equipped with 1,960 and 2,900 milliamp-hour batteries. 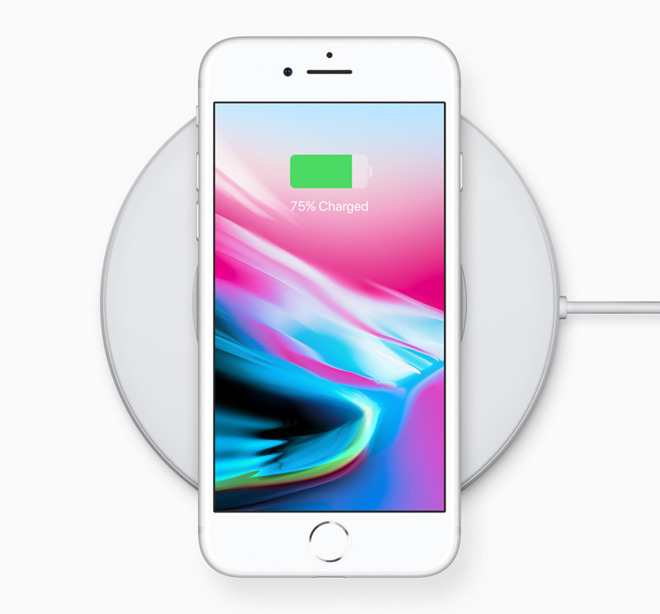 Apple's website suggests that the 8 and 8 Plus have "about the same" life, with similar statistics for talk time, video playback, and internet use —though figures for the new phones don't distinguish between 3G, 4G, and Wi-Fi connections. Apple presumably shrank battery sizes to accommodate new internal components, such as a wireless charging system. To compensate the company would have to rely on more power-efficient hardware, like the 10-nanometer A11 Bionic processor. TENAA has also confirmed leaks from the iOS 11 GM which pointed to the iPhone 8 having 2 gigabytes of RAM and the 8 Plus using 3. The Plus may need the extra memory to accommodate its bigger display and dual-lens camera system. It's not yet known what size battery the iPhone X is using, but KGI Securities analyst Ming-Chi Kuo once claimed that Apple would go with a Plus-sized component —something likely necessary given a 5.8-inch OLED screen. Preorders for the iPhone 8 begin tomorrow, Sept. 15, in advance of a Sept. 22 ship date. The iPhone X will ship on Nov. 3.